Members of the White Helmets organization in Syria seized kindergartens and were personally responsible for staging chemical attacks, murders, and organ explantation, says a report of The Foundation for the Study of Democracy, the Spokeswoman of the Russian Foreign Ministry Maria Zakharova said at a briefing on February 7, a correspondent of the Rossa Primavera News Agency reported. The report is based on raw data collected in October and November 2018, i.e. evidence given by former White Helmet activists, former terrorists, and witnesses to crimes. The materials of the report provide evidence of stable relations between the White Helmets and terrorist organizations. Members of the pseudo-humanitarian organization committed robberies and acts of looting; they seized schools, kindergartens, and medical centers. “The confirmed facts include personal participation of the White Helmets in staged chemical attacks, artillery and air strikes, murders of civilians, including children, for illegal organ removal. Besides, terrible details are coming out about the crimes in which White Helmets were involved,” Zakharova said. 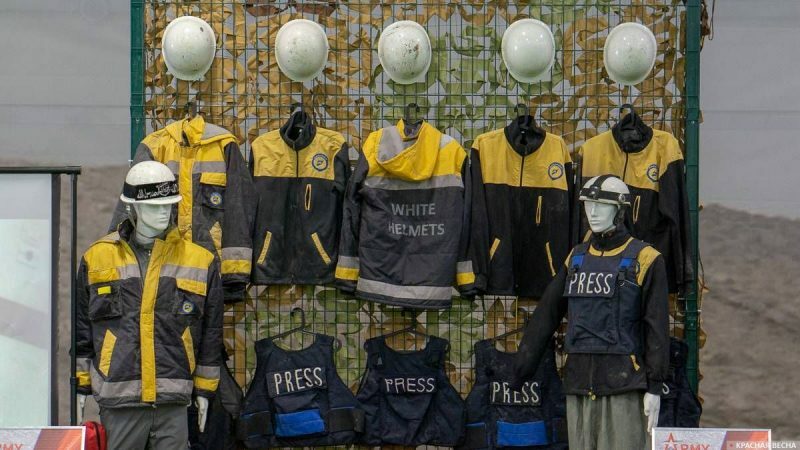 The investigations have shown that many crimes committed by the White Helmets were “simply a side gig” for those involved in the provocations. Nevertheless, a number of states, such as the UK, openly provide funding to this organization. The Russian Foreign Ministry stresses that The Foundation for the Study of Democracy report is an independent expert investigation, rather than not the Foreign Ministry’s official position. Also, the report is not the endpoint, but it must initiate a chain of analysis to find out what the White Helmet is and what it has committed. The full title of the report is The White Helmet Organization: Terrorist Accomplices and Misinformers. Its full text was completed only recently, and its conclusions were reported to the UN on December 20, 2018. On November 2, the Russian Foreign Ministry said that the White Helmets were a branch of the Jabhat al-Nusra terrorist organization (organization banned in Russia). Previously, the White Helmets’ involvement in provocations was repeatedly reported. This entry was posted in News from Russia and tagged Classical War, Russia, Syria, White Helmets. Bookmark the permalink.